As you drive along the California coast on Highway 1, in many places you'll see wide flat areas that are elevated above the sea. These are famous among geologists, who've mapped these marine terraces up and down the entire west coast. Each marine terrace is a record of sea level during the past. Just as sea level rises today as the world's glaciers melt, previous changes in the polar ice caps have raised and lowered the sea by hundreds of feet. Whenever the sea level remained steady for a few thousand years, the pounding surf had the leisure to cut into the shoreline. As the waves churned the sea cliffs into sand, they carved away the rocks as deep as they could reach and left a level surface behind. Sea level is on scientists' minds these days as we keep a nervous eye on global warming. A rising sea threatens many places with a slow-motion Katrina. But geologists have always paid attention to this fundamental piece of information in order to visualize the deep past. Imagine the landscape 120,000 years ago, during a warm interglacial period, when the ocean covered today's coast some 40 feet deep. Imagine later, during the Last Glacial Maximum around 20,000 years ago, when the seas were drawn down by more than 300 feet. 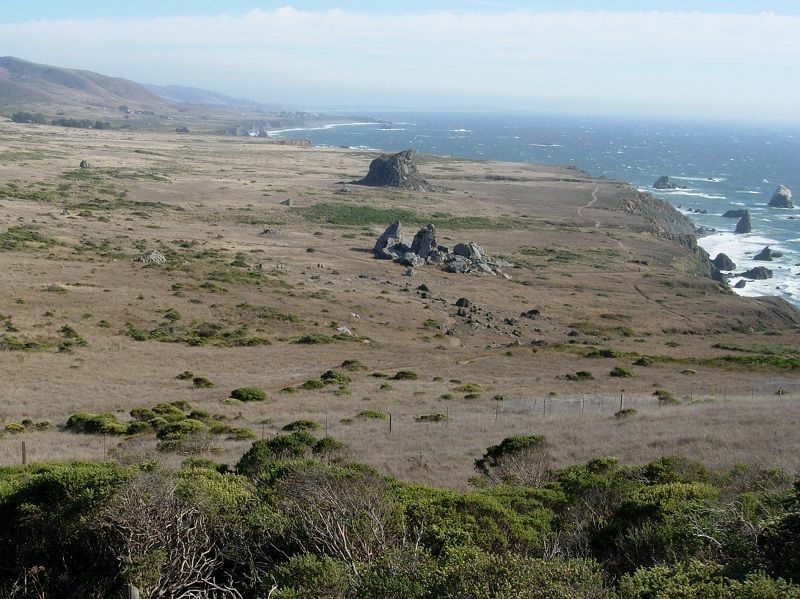 The coast was far to the west, and the area between must have been a wide grassland—a "California Serengeti"—roamed by mammoths, sabertooth cats and other Ice Age animals. Compared to those extremes, today's inches-per-century changes in sea level may seem minor, but they matter a great deal. Consider the Delta, all of which is essentially at sea level. Today, many of the islands in the Delta are actually below sea level because their peaty soils, turned into farms, are shrinking from exposure to the air. As seas rise and push against the levees protecting the Delta, inches matter. Rising seas are partly caused by climate change and partly by the oceanic winds, which push water against the shore in some places and away from it in others. 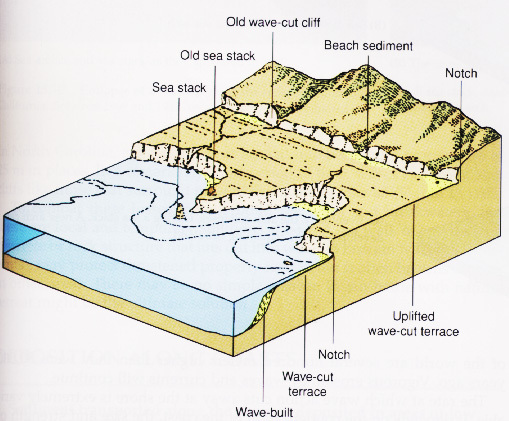 Geological forces also move the land up and down in different places, which—when combined with changing sea levels—leads to the creation of marine terraces. These vertical motions of the land are the topic of a new paper detailing how Ice Age changes affected California's sea level during the last 120,000 years. Authors Alex Simms of UC Santa Barbara, along with French scientist Hélène Rouby and Kurt Lambeck of the Australian National University, published their findings last month in the Geological Society of America Bulletin. Data from marine terraces all over the world has been assembled into a geological record of sea level. And in places where these terraces vary from the global curve, the data also allows us to deduce vertical movements of the land. In California, that's important because our whole coastline is tectonically active. 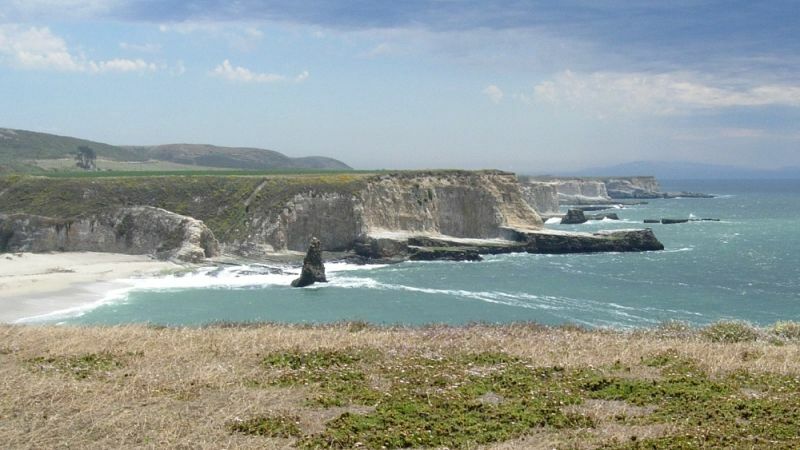 The coast north of Cape Mendocino is part of the Cascadia subduction zone. The central coast is affected by pressures acting across the San Andreas fault system. And in southern California and Mexico, the coast responds to the forces opening up the Gulf of California. A lot happens when an ice age starts or ends. Research tells us that when the last ice age ended about 12,000 years ago, the Earth's crust was affected in several ways. Ice caps no longer pushed the crust down, so it slowly sprang back over thousands of years (and continues today in far northern regions). The gravitational force of the ice no longer pulled the sea toward it. As the land rose, the gravity of the newly risen crust pulled the sea back again. The extra water in the rising sea weighed down the crust along the coast and pushed down the seafloor globally. These and many more-subtle glacio-isostatic adjustments are not simple to calculate, but in the last decade they have been adopted by all serious scientists working on sea level. Simms' team looked at three sets of marine terraces between Washington and Baja California with ages of 120,000, 105,000 and 84,000 years. They estimated the glacio-isostatic effects during those years, and found they made a difference of as much as 65 feet in sea level, depending on the time and location. At Santa Cruz, the results appeared to show that the terraces were rising three times faster than the rest of California. Simms concluded that a study published in 2001 probably gave one of the terraces an incorrect age, and that other studies from 1968 and 2006 had gotten it right. Instead of rising 1.3 millimeters per year, it appears that Santa Cruz has been rising about as fast as its neighbors at 0.3 millimeter per year. Beyond the deep details of working science, these results matter to the rest of us because everything affects what will happen to sea level in the next century. The tide gauge at Fort Point in San Francisco has recorded about 8 inches of sea-level rise since 1900. Simms says the rise appears to be a combination of ocean warming and glacial melting, as seen elsewhere in the world, but it also includes the effect of changes in Pacific wind patterns that have been piling up water against the west coast. Simms' paper shows that long-term uplift of the land is smaller than these changes. But all the numbers need to be as accurate as possible.